Collapse at white cliffs of Dover Jump to media player A large section of the white cliffs of Dover has collapsed into the English Channel between Langdon Cliffs and South Foreland Lighthouse. 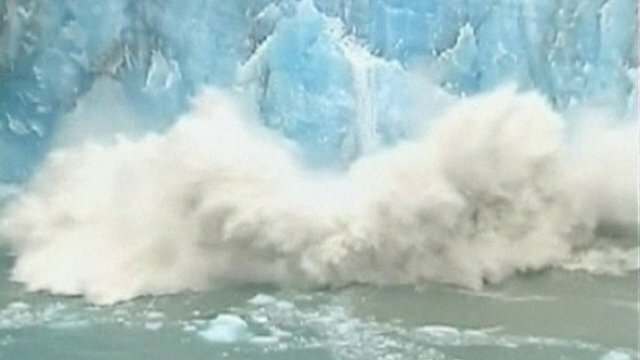 Argentina glacier collapse Jump to media player In Argentina, a major portion of the Perito Moreno glacier has collapsed. 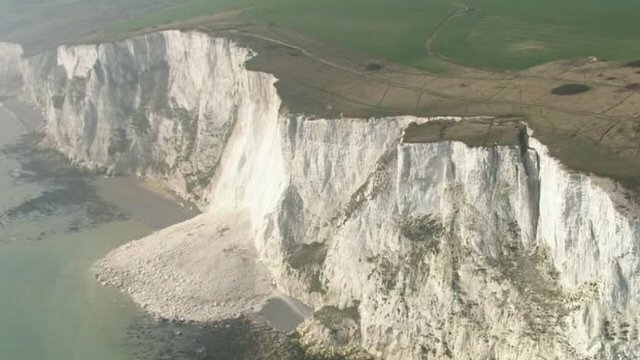 A large section of the white cliffs of Dover has collapsed into the English Channel between Langdon Cliffs and South Foreland Lighthouse. Dover Coastguard say no-one was injured when tonnes of rock collapsed into the sea in the area known locally as Crab Bay. It is thought freezing conditions over the winter may have weakened the chalk and flint cliffs.